In this tutorial, Tim Clapham takes you through the process of building a controller for a deformer object. In this example we take a null object and then use the position values to drive the strength of a bend deformer with a basic Xpresso setup. 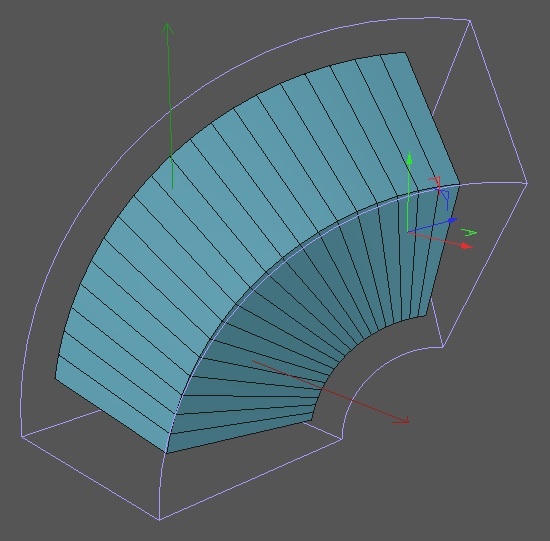 Once this simple example is complete, the setup is enhanced by calculating the angle between the source object and the controller which is then used to drive the angle parameter in the bend deformer, thus the deformer always bends towards the controller. This type of setup has many uses particularly for animation and the setup can easily be expanded upon to allow control of several deformers directly in the editor viewport. As an example, Tim takes the setup one stage further by adding the MoGraph Delay Effector into the equation. This allows you to add a spring effect or a nice ease into the deformer strength. Thanks so much for sharing your knowledge of c4d!!! Great tutorial as always. I been trying to work this out myself. I am having a problem with using the twist deformer with delay. I want the object to ping back using a ‘spring’ type wobble to go between negative and positive values on the twists ‘angle’, as the object flattens out. It currently only wobbles one way which looks quite robotic. Is there an easy solution? @Chris Add a rangemapper node into your Xpresso, you can then map the result into positive and negative values. If you’re unsure of the range then use a result or spy node before the range mapper to see the values being output. Cheers Tim. Its not exactly behaving how I would like but i’m along the right lines. Just need to put the time in. Thanks again for your help. Its amazing what a fresh brain in the morning does after a late one. I just added another twist deformer and flipped it 180 degrees and copied it into xpresso. Simples! I’m trying to use the mograph delay setup to get a cube to follow along with another cube with a little delay. I got it working but when the cube being followed crosses the axis, in this case the x axis, and it’s position becomes negative, the cube that is following reverses direction. It’s position values remain positive while the other cubes values become negative. I was trying to solve this using a compare node, and multiply the X position of the following cube by -1 when the main cube crosses the axis, but couldn’t get it to work right. I’m sure this is pretty simple to solve, what do you think is the best solution?